Mother’s Day is coming up and this year, instead of just getting your mom flowers or family photos, give her a cool tech gift! Whether you know your mom to be tech-savvy-or if she calls you and asks you to explain what Snapchat is and how to do a Facebook Live video-your mom will likely appreciate the unique gift or be totally blown away by the technology. Plus, if you find a gift that fits your mom’s personality or you know it will make her life a little easier, you’re sure to give a gift that’ll outlive a bouquet of flowers. Wondering what cool gadgets are out there that your mom might like? Here are our top picks for the gadgets that are “most-likely-to-be-approved-by-mom” this Mother’s Day. Want to give your mom a cool smartphone dock that won’t cost you a lot of money and will look nice in her home? This Bedside smartphone vase is the perfect combination for giving a tech gift to a mom that also has a minimalist style. Plus, it’s part smartphone dock to play her music, and part vase-so you can still buy her flowers. WiFi is frustrating for all of us— especially parents who aren’t tech-savvy and don’t know what to do when the connection stops working. Powered by TrueMesh, eero is a home WiFi system that delivers fast, stable and reliable WiFi all over your home. For the mom that works remotely, this could be the perfect gift. For the mom that loves to cook, this Belkin Kitchen Cabinet Tablet Mount is sure to be a useful gadget. The mount hooks under a kitchen cabinet so the tablet can be set at eye level and not takes up any counter space. It’s easy to set up too – no tools are needed for installation. Additionally, it easily compresses into a smaller size that can fit inside a kitchen drawer. For the working mom, this Everpurse and Kate Spade handbag is the perfect accessory. Not only is the bag fashionable, chic (and on sale), it includes a charging pocket for your mom’s Apple products – iPhone 5/5s. 6/6s, 6+/6s+, 7/7+ and even fits up to a MacBook 13. For the mom on the go, this bag is sure to come in handy. If you know your mom is always losing stuff in her purse or backpack, this Brainstream SOI light will make her life a lot easier. Packed with two AAA batteries (which are included in the box), this little light will save your mom lots of time when looking for something that’s hidden at the bottom. Even if your mom isn’t a handbag-wearing lady, this light can also be used as a bedside light or travel light for the mom on the go. Inspired by retro cinema, this LED, battery-powered My Cinema Lightbox is a great gift for a mom who loves to play with her décor. Whether your mom could use it for any events she plans, photo-shoots she runs or as a fun way to decorate the home, this light box is a fun gift to give this Mother’s Day. 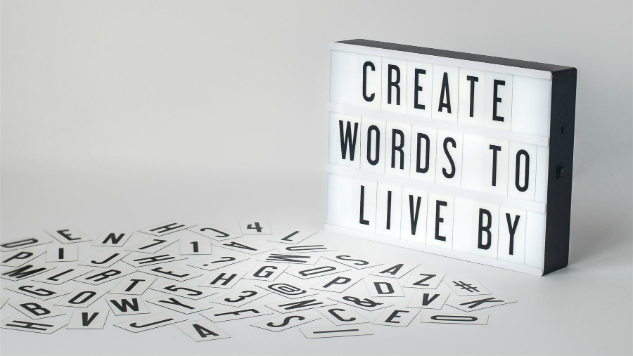 Moreover, you can customize the letters, so give it to your mom with a message that she’d love to see on display in her home. If your mom is an art lover, the Meural Canvas is the ultimate gift for giving your mom access to a digital collection of thousands of pieces of art. The Meural Canvas is a beautifully designed digital art frame that looks real. But, with one simple wave in front of it, it’ll change the image on display. For a design and art-loving mom, this is a hip gadget that will allow her to easily change up the tone of any room. Plus, the Meural Canvas is connected to the company’s digital collection of 30,000 artworks (which they acquire through licensing deals with various museums, hence the high price point of this product), which essentially works like a curated playlist of art in your mom’s home. Did you used to be your mom’s helper for everything that needed fixed, moved or assembled? Have you moved away from home or gone off to college, leaving your mom to call every time she has a question about how to fix something? Why not download the Task Rabbit app on your mom’s phone and give her a gift card to help her book help with household tasks when she needs it. Looking for a cool tech gift that your mom will love and actually use? The Nest Cam Indoor security camera is an awesome gift that you could get your mom and help her set up. The best part is that she’ll be able to manage the device (and talk to anyone she sees on the camera when she’s not home) through her smartphone. If you’re looking for a cool gift that will blow your moms mind, the Nest Cam will surely do so. Is your mom obsessed with your family dog? Does she hate leaving your pet behind when she travels? This Mother’s Day, consider buying her the PetChatz camera which will let her communicate with her pet while she’s gone. Plus, it even has a treat dispenser so she can offer the dog a treat while they are video chatting.